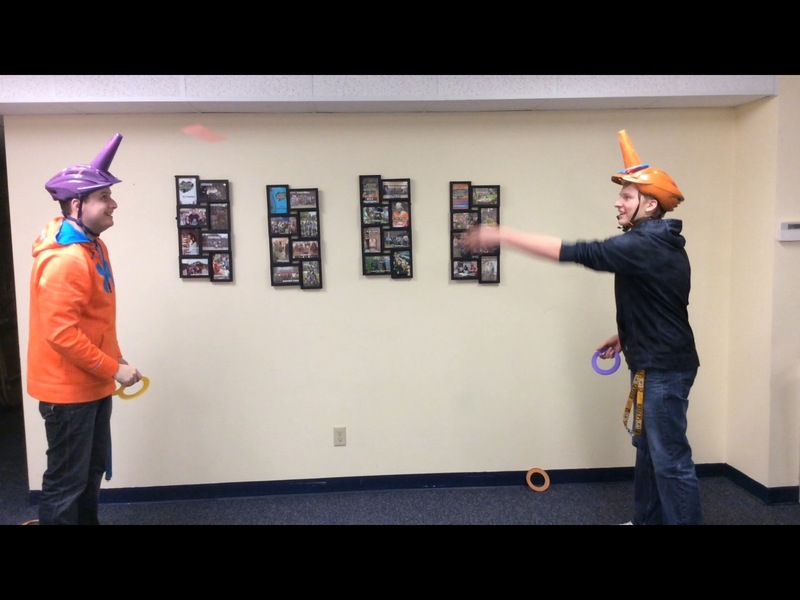 A great game that is sure to bring some good fun to your youth group. See who has the best hand-eye-head coordination with this awesome game! Build the helmets! I used Styrofoam cones for the horn. I left the plastic wrapper on the cone so I could glue it to the helmet and spray paint everything. Duct tape standing lines. I like to have two teams competing against each other. 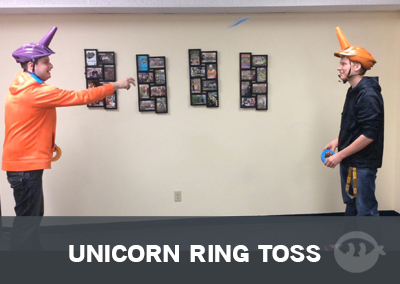 One team member wears a helmet and the other throws the rings. 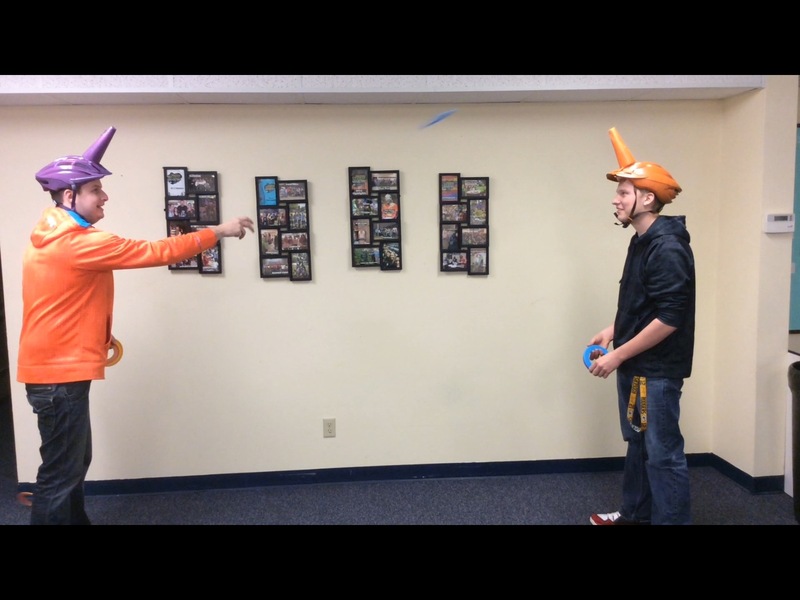 After 5 throws, team members change positions. 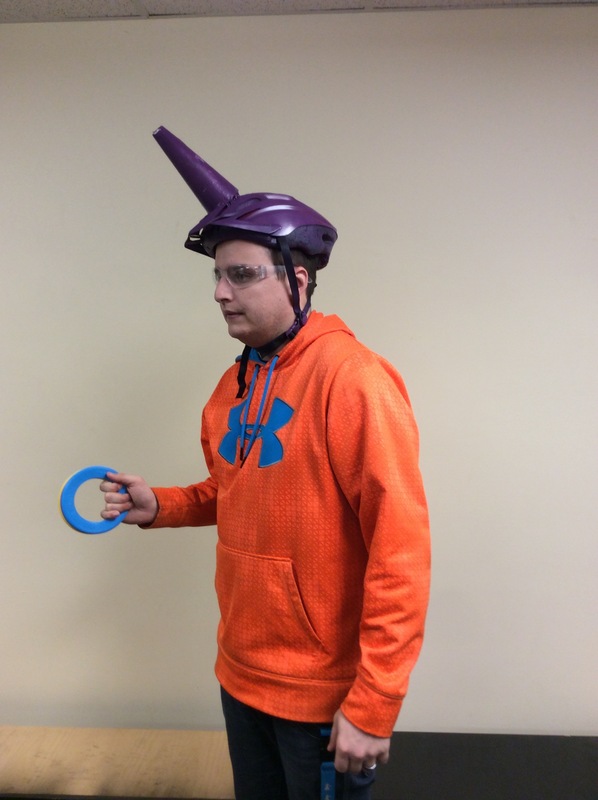 The team that has ringed the unicorn horn the most, wins! You can also do it as two person challenge; taking turns to see who can ring the most.